I thought it would be a nice time to tell ou guys about how my med school is going. The current running module is LMS, which stands for LocoMotor System. (The other kids call it “Leave Med School”). This is a very anatomy heavy module, which some of you might have noticed from most of the pictures I uploaded about the April wrap up. Anatomy is a very interesting subject, but it is vast and detailed and doesn’t seem to finish. It’s amazing to see what’s going on in our body and figuring out what movements muscles can produce. At the same time, it is very difficult to remember everything in the span of a few days. And a few days is exactly what this entire module feels like. On the first week, we covered basic muscle physiology, histology and embryology. 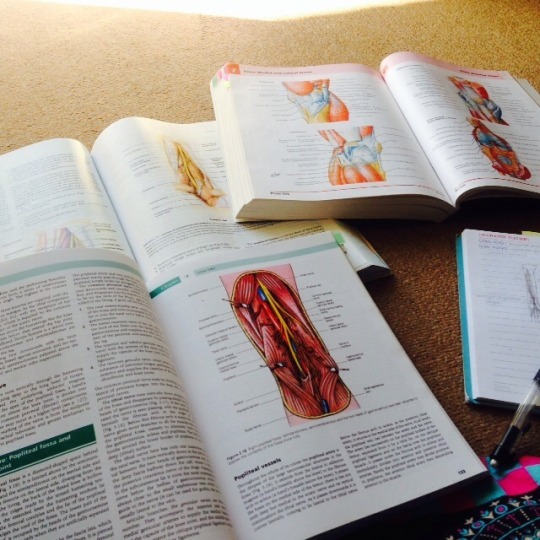 The next three weeks were spent on the entire lower limb, gluteal region to foot. This week, we covered the entire back. The next two weeks will probably be about the upper limbs. I’m so glad my head hasn’t exploded yet. Apart from the course, I also got to see cadavers up close. Cadavers are basically dead bodies that are either dissected (the whole body opened up) or prosected (a limb or something cut off and then dissected). Before we got to see the cadavers though, we had a lecture on ethics. Why, you might ask. Well, the thing is, dead bodies are considered something short of sacred in Islam. Bodies are vessels granted to souls by Allah and once the soul is called back, the vessel is supposed to be returned to where it came from- the earth. Also, there’s a Hadith which I’ll share the main idea of. The Hadith was that if you break the bone of a dead body, it would be equivalent to breaking the bone of the person if he was alive. So that’s why there is no religious Muslim out there who is going to say “yes take my body and dissect it”. That explains the precious few bodies we have in our college for learning purposes. But how did we even decide to dissect them if we’ve agreed that bodies shouldn’t be harmed? Basically, when tackling new situations like these, you have a sort of whole council of Muslim scholars who decide what to do. They look at the pros and cons of the problem and then issue the Fatwa, or edict. Dissecting dead bodies for students to learn is something that has more pros than cons- so dissection for purely academically purposes is allowed as long as you paid proper respect to the body. Apparently, my class wasn’t very good at the respect part and we had a creative writing session a few weeks later. The topic was “Write a letter to the cadaver” and at first, everyone was complaining, but I was ecstatic. Here’s what I wrote. You probably don’t know why I’m writing this because technically, I didn’t touch you or rip your skin off or cut your legs or pulled open your chest or anything like that at all. But I guess what’s happened to you is mostly because of me, so I could learn from the dead how to treat the living. I never really thought of you as a person the first few times you were on the table, because it’s difficult to associate yourself with a single leg, stripped of skin. Although I did find myself flinching every time a facilitator’s hand dug into your thigh to pull out a sciatic nerve high up and trace it into the gluteal region or a tendinous attachment of your hamstrings or posterior tibial muscle, or use forceps to pull something else out, ripping delicate strands of- I’d better stop here. I wouldn’t want to know what graphic violence was going on with my body after I died, so I guess I’ll spare you the details. The first time I associated myself with you was when we had the session on the muscles of the foot. Your foot was the one thing that look almost exactly like a living persons- the extended sole and arched toes and nails and skin- my over-active imagination could already see my own feet and my own leg and my own body on the cold table. The whole cadaver, skin still on, was even worse. You looked like a person who fell asleep there- and could wake up anytime. I could imagine you jump off the table in horror and scream for clothing. Anyway, there’s not much I can do for you, except use you as a reminder for myself. So here’s what I experienced in med school, related to cadavers and death. Have you ever had the experience of dealing with death or dead bodies?